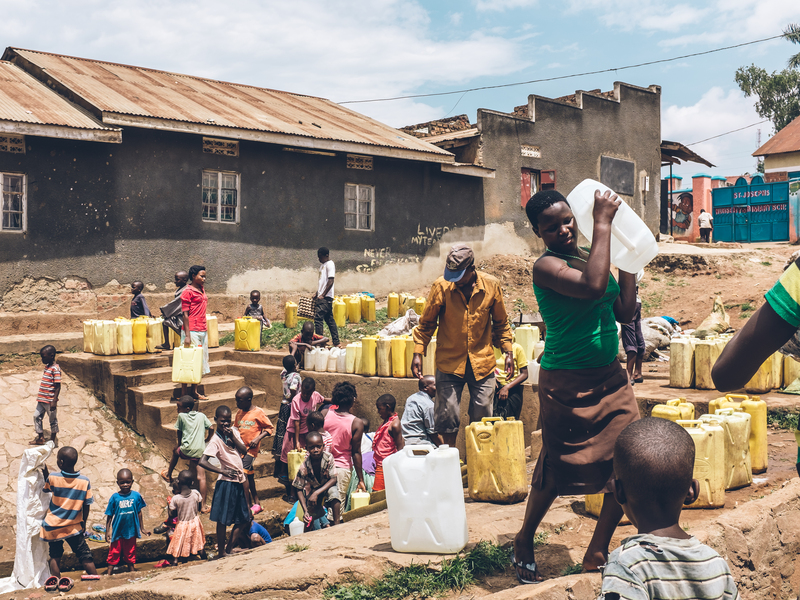 In groundwater below slums in Kampala (Uganda), Accra (Ghana), and Arusha (Tanzania), three cities in west and east Sub-Saharan Africa, researchers found DNA of 25 different DNA virus families, some of them with adverse health risks for humans. In particular, these are herpesviruses, poxviruses, and even a case of papillomavirus, which may cause cancer. Researchers of IHE Delft and local universities from Kampala, Accra and Arusha came to this finding after two years of sampling and analysing DNA material from groundwater in the abovementioned areas. The results of this study were presented at the General Assembly of the European Geosciences Union (7-12 April) by Jan Willem Foppen, Associate Professor of Hydrology at IHE Delft. “To our knowledge, these viruses have never been found in groundwater before on such large scale”, according to Jan Willem Foppen. The researchers explain that this is because DNA from viruses in groundwater below slums has never been analysed and due to the high population densities and lack of proper sanitation. Based on local knowledge of the groundwater system, the researchers conclude that the persistence of these viral particles must be in the order of years. Conventional ideas on the (limited) persistence of virus in groundwater need to be revised. The results of this new research by IHE Delft and local universities also imply that there is an urgent need to improve understanding about which pathogenic virus families and sub-families are capable of traveling through groundwater systems. The widespread use of groundwater in these slums, e.g. for cooking, cleaning and bathing, is likely to have health implications. Both herpes and poxviruses can cause various kinds of skin-infections. Some types of lung cancer, cervical cancer, laryngeal cancer and mouth cancer are caused by the type of papillomavirus that the researchers found in groundwater.